THE MOTSWAKO fame star is no more. Born Jabulani Tsambu- HHP’s death has rocked the nation and the masses of his hometown Mahikeng in the North West Province. As the province is experiencing its own political deeds and instability, the news of Jabba’s death has further denigrated the situation. Full of life, bubbly and unassuming when coming to Motswako genre, of which he established and promoted as means to the lesser mortals, HHP was a star in his own right, to such an extend he unearthed new kids on the block namely Morafe, Khuli Chana, Cassper Nyovest, Fifi Cooper, et al. But as life would turn out, inside Jabba was a troubled soul, in that two years ago, he had admitted to attempting suicide three times in 2015 and that he had visited an online suicide website in an attempt to help him get information on how to end his life. Yes, God by then had decided against that option because he was larger than life and a lot was still expected of him, that was until Wednesday October 24 2018, when he decided to take his life once and for all. 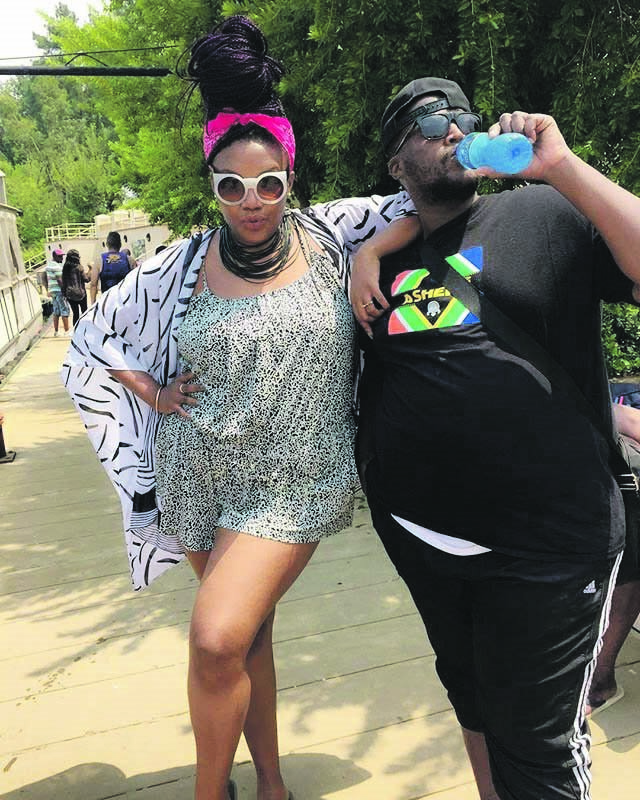 Rumour-mill had it that he was separating from his socialite and TV star wife Lerato Sengadi, but that did not materialise. According to a musical genius and label record owner the pint-sized Vusi Leeuw, many, until today, failed to understand him. “For me Jabba was too much of a genius and sometimes people like that feel like the world does not understand them. That was one of the things he battled with, unfortunately it didn’t go away,” said Vusi, who gave Jabba his first break in the music industry whilst still at CCP records. Harambe, Jabba, Tswaka, Bosso, Dumela, YBA 2 NW, were some of the hits that catapulted his career that resulted in the formation of popular Maftown Heights- a Hip-Hop music fest. At the time of his passing he was busy with a new album. HHP’s friend and producer Thabiso Tsotetsi said the country has lost a hero, noting that he last spoke to HHP on Friday afternoon when they were discussing their new project. Tsotetsi met HHP in 1997 through a friend, Tolamo Kgobokoe, and has worked with him ever since. “I composed almost 90% of his popular songs,” he said. As the nation mourns the Son of the Soil, the question is who will carry his Motswako-genre that he used as a weapon that rapping in your own mother tongue is cool and can fight poverty? Jabba was 38 and lives wife and a kid. Robalang ka ntho madi a tshologe boTsambu.